Zymurgorium Marmalade Gin comes from the innovative Manchester distillery, famed for their unusual gin releases. 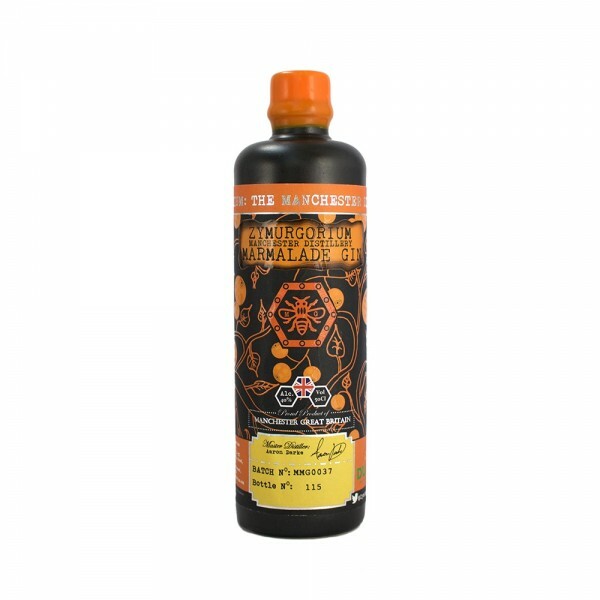 This Marmalade Gin is a great collaboration with Manchester-based Duerrs, who were putting marmalade on your great-great grandparents toast and giving them that morning citrus boost since 1881! This adult-update on our favourite breakfast spread is a total sensory experience. A real citrus-fest, the gin is bursting with tangy flavours of tangerine, lime, lemon and Seville oranges plus Madagascan Bourbon Vanilla. The distillate is also passed over sweet orange peels to get yet more citrus-y oils into the final product.